Located at the upper end of the Chamonix Valley, just 2 km from the Franco-Swiss border, Vallorcine is a relatively new resort that offers skiers close to 50km of slopes to explore. Being a new resort, Vallorcine has all the latest facilities including a state-of-the-art gondola ski lift and an excellent range of modern accommodation. Vallorcine is a new development but, despite this, the village retains all the charm of a traditional mountain resort. All the buildings are in a traditional alpine style, which gives the village a unique charm. If you didn’t know any better, you'd think the village was as old as Chamonix, which is located just down the valley. Being in the Chamonix valley, Vallorcine is guaranteed good snow throughout the season. The ski season is longer here than anywhere else in the Alps, with the slopes getting good coverage from mid-November to early May. Visitors can check the latest snow reports in Vallorcine before travelling with our resort guide. With one of the longest ski seasons in the Alps and a wide range of slopes to suit skiers of all abilities Vallorcine has quickly established itself as one of the best ski resorts in the region. 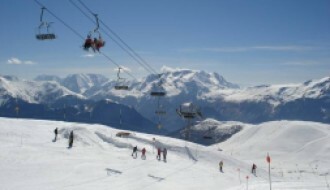 The slopes here are less crowded than more popular resorts such as Chamonix and Val Thorens. Get up early and it feels like you’ve got them all to yourself. There are pistes to suit all grades, but intermediate grade skiers are the best catered for. There are more than 20 green graded runs which are easily accessed by the gondola and cascade down through picturesque alpine forests. 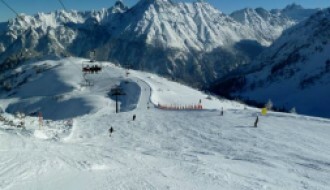 More advanced skiers are limited to just one red/black graded piste, but being located inside the Chamonix valley, more advanced skiers can take advantage of the whole valley using a single ski pass. In fact, Vallorcine is perfectly positioned to take advantage of some of the most challenging and extreme mountain terrain in the Alps. For families, there is the Poya ski area which provides a pulley lift for little ones, a rope tow for beginners and two drag lifts for everyone else. This area also has a kindergarten to keep the children happy while you enjoy the slopes. Access to snowshoeing trails is also available from Poya. Aside from skiing, there are plenty of other things to do in Vallorcine. Snowshoeing is a popular attraction which is suitable for all ages. The village has a number of snowshoeing challenges from gentle strolls down the valley to challenging ascents to the top of the mountain. For the more adventurous, hang gliding and paragliding is available from both Vallorcine and down the valley in Chamonix. Here you can take a tandem flight with an experienced pilot over the valley of Chamonix. You will get the chance to skim the summit of Mont Blanc and, if you’re lucky, come face to face with a golden eagle. Paragliding is only available on clear days, so it's advisable to check the latest weather report in Vallorcine before booking. For a more sedate activity, the village centre has an outdoor ice rink which is open every day except Monday during the ski season. In between sessions, skaters can relax at the snack bar, which serves hot chocolate, coffee, tea and sodas along with a selection of hot and cold snacks including waffles, crepes and sandwiches. The year-round population of Vallorcine is actually quite small: the latest census shows that just 397 people live in the village year round. This gives Vallorcine a small town charm and it often feels more exclusive than it actually is. The downside of being small is that there is little in the way of shopping or entertainment facilities. There are no big town developments such as cinemas, shopping centres or restaurants outside of the hotels. On the plus side, the village is only 16 km up the valley from Chamonix, which is easily accessible by road. Chamonix provides all the facilities that Vallorcine perhaps lacks, including a medical centre, restaurants and - of course - great shopping. 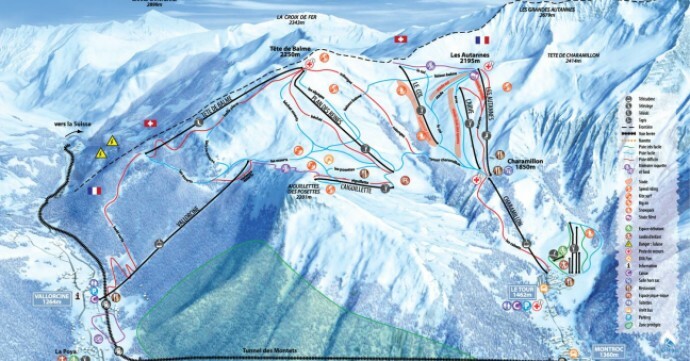 As a new and relatively unknown resort, Vallorcine offers great investment potential. Property prices here are well below other more popular and well-known resorts such as Chamonix or Courchevel. This bodes well for investors as more and more people become aware of the great skiing in the area. For those looking at buying a property in Vallorcine, the village has large numbers of new build apartments available. Apartment sizes range from two to five bedrooms with an average price of €5765/m2. These should provide investors with good rental income during the ski season, with rates increasing as the resort becomes more popular. 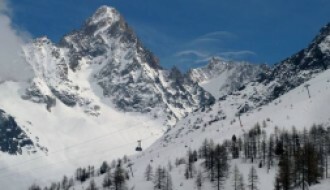 Like most of the resorts in the Chamonix Valley, Vallorcine is easy to get to by train and plane. The village is served by its own train station which is the last station on the Mont Blanc Express line which connects the region to Gervais/Le Fayet. From here, passengers can connect on SNCF services across France and Europe. The nearest international airport is Geneva, which is 73.3 miles away. There are shuttle buses to both Chamonix and Vallorcine available from the airport with the journey taking approximately two hours.